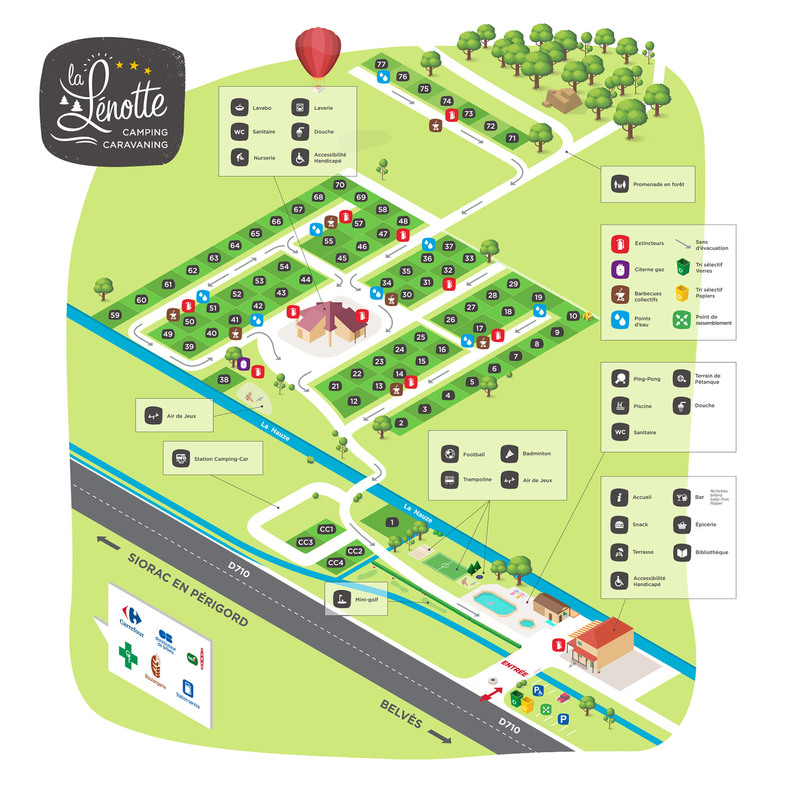 Camping La Lenotte / Accomodations / Mobilhomes / Mobile home 2 pers. Why pay 2 rooms when you need one? This is where comes the idea of the mobile home 2 people, not found in all campsites. 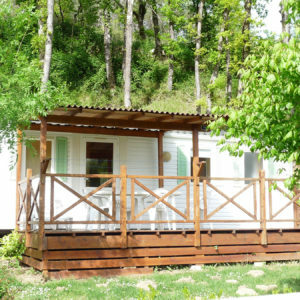 Couple of young retirees, or young at all, without children, you are given the opportunity to optimize your budget by offering the comfort of the classic mobile home but with only one room. 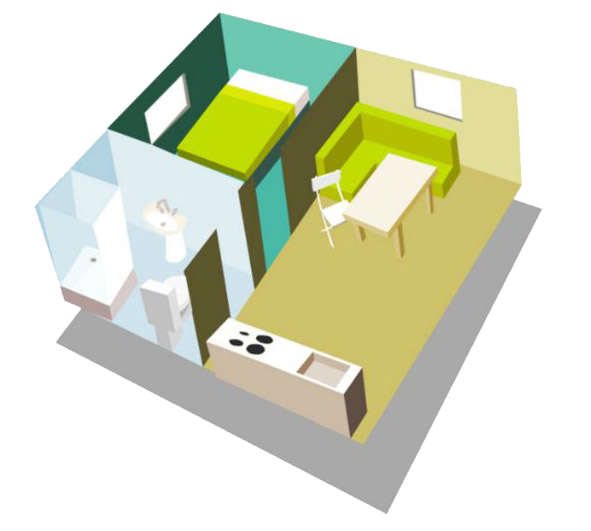 The accommodation is actually smaller (16 m²) but with the terrace and the private garden, the space you have it. 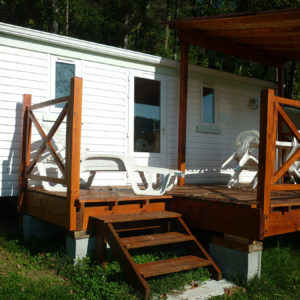 If you are more than 2 or you are afraid of being cramped, take a look at our other mobile homes.